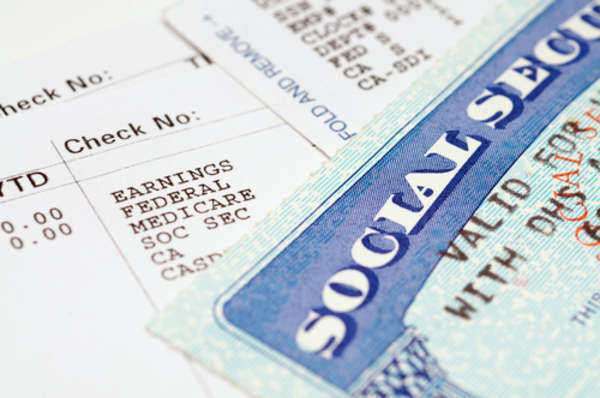 People with a lost Social Security card can, and should, go through the process which is provided for by the U.S. Social Security Administration toward the end of providing for this contingency. In order to replace Social Security card identification, people can fill out the replacement Social Security card documentation provided for this common challenge, as is referred to as the “Application For A Social Security Card,” the “Form SS-5” in terms of the overall body of paperwork maintained for the purposes of the Social Security Administration. In general, replacement Social Security card questions and concerns can be referred to through the Internet presence maintained by the U.S. Social Security Administration, as is referred to as Social Security Online, and can be found at the web address www.ssa.gov. Three steps must be gone through by a person with reason to worry about this matter in order to replace Social Security card identification under the rules accordingly maintained by the U.S. Social Security Administration. Completion of the Replacement Social Security Card is Step 1 in this process. In this regard, the second step for replacing a lost Social Security card will involve the individual furnishing the U.S. Social Security Administration with proof of permissible and recognized citizenship within the United States as well as of personal identity. The third step required to replace a lost Social Security card is to transmit, in person or by post, documentation.